There are three primary participants in a local church. God, the pastor and the congregation. Trying to turn a church from unhealthy to healthy without all three in full cooperation, will lead to frustration, failure and heartache. Knowing and expanding the zone where the hearts of the pastor and congregation meet up with God’s heart is essential for a successful church turnaround. This is especially important in a small church. 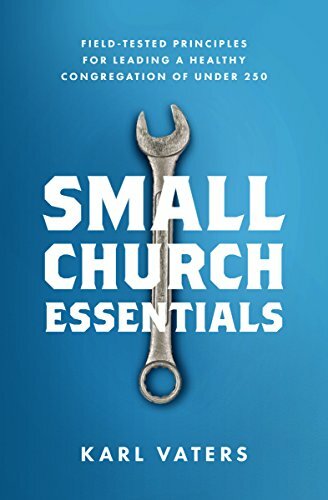 The larger the church, the more likely the heart of the congregation will be an extension of the pastor, often expressed in a mission or vision statement that was crafted by the pastor or leadership team. But in a small church, the congregation has a personality and a will of its own based on their history and their relationships. Ignore it at your peril, pastor. But when the hearts of all three match up just right, there’s nothing like it. As you can see in this Venn diagram, there’s a place where all three circles (or hearts) intersect. But there are also portions of God’s heart that neither the pastor nor the church have caught up to yet. There always will be. And there are portions of the church’s and the pastor’s heart that aren’t in line with God’s heart or with each other. Each of these overlapping zones (numbers 2 – 4) has unique dangers. Let’s look at all four of them, one at a time. This is the goal we all ought to be aiming for. The spot where the pastor is working within his gifting, the congregation is being strengthened and utilized, and God’s will is being done. But let’s not be naïve about it. We will seldom have more than a tenuous and shifting grasp on this. And it needs to be constantly monitored, prayed over and never taken for granted. But it can be found, expanded and utilized to bring glory to God and to reach the people he has called us to minister to. In an unhealthy church, this spot may be so small it’s hard to find. If the church is in bad enough shape, it may have disappeared altogether. This is where knowing what to do with sections 2 – 4 becomes critical. Let’s look at each of them, then we’ll come back to Zone 1 at the end. This is the overlap where the pastor sees God’s heart, knows it is God’s heart, and finds it resonating within their own heart, but the church doesn’t know it. Yet.